We're a whip-smart group of internet marketing professionals with small business in our blood. We live and breathe small business. We're EXCITED about your success, and we're honored that you put your trust in us. You won't be disappointed. The Accolades just keep on coming! 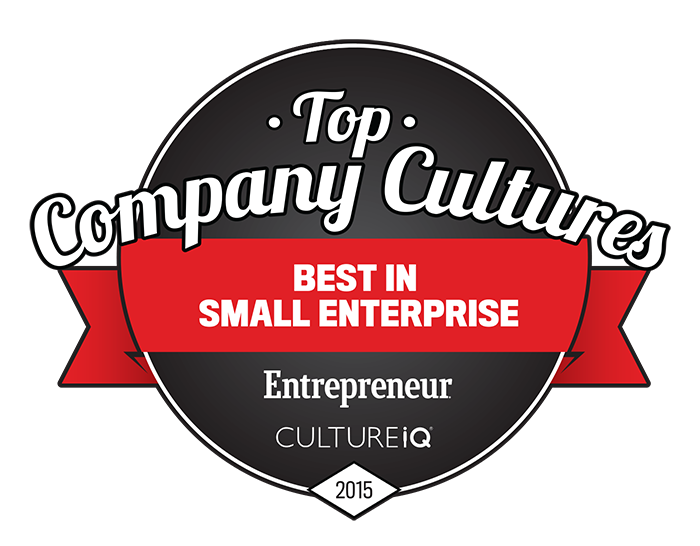 Entrepreneur Magazine named us a Top Company Culture in 2015 & 2017! We&apos;re one of only 25 small businesses in the country to make this prestigious list, and we've done it twice! This award recognizes companies with high-performance, high-passion culture. You deserve a marketing company that believes in your business as much as you do. That’s us. We are a small business, and our employees come from entrepreneurial families. So we know what you’re up against. That’s why we’re here. We are your internet marketing army. We’re your ONE-STOP-SHOP for the Industry’s best internet marketing, conversion, and website automation specialists. If you’re tired of being “sold,” having your ideas ignored, or being left out of the loop by your internet marketer, you’ve come to the right place. We start with a conversation. The deep connection we establish with you and your business is the springboard for everything we do. We are so proud to announce that GetUWired has been named a Best Place to Work in Georgia! We were chosen by Georgia Trend magazine as a Best Place to Work because of GetUWired's not just commitment, but ACTION, toward making our company a place where people love to work. We're going to create a results-driven, common sense marketing strategy for your business. But first, let's talk! With everything we do, we think strategy and service. We think about you, how hard you've worked to be where you are today, and how we can make your life and business even more incredible. You deserve to work with someone who's as passionate about your business as you are. That's us. Watch our video and see for yourself! We make it easy to get the powerful, profit-driving marketing today's business requires - because we offer a full menu of skill sets right here in our cabin. Offering everything you need means cohesive messaging, trackable results, and less stress for you! GetUWired does a fantastic job with really complex, difficult implementations of Infusionsoft, where API integrations and difficult data transfers from things like salesforce are required. Their skills in terms of project management, communications and all the technical capabilities that go into making great implementation are fantastic. Whether you’re a brand new Infusionsoft customer and just need help with the fundamentals of getting Infusionsoft off the ground, or you need a very complex, API-driven development project, GetUWired can help on either end of the spectrum and everything in between. They redid our website BlackAndMarriedWithKids.com, and in a 3-month span … we actually tripled our website traffic. We worked along with them developing an 8-part video series … and for the first time our lead generation skyrocketed. If you’re looking for a company that can marry design and functionality and marketing all together in one bundle, I would highly recommend the team at GetUWired. A lot of the success I've been able to enjoy is really because of [GetUWired]. Really, they are one of the best companies that I have ever worked with through my life. Their engineers are top-notch, they know Infusionsoft better than anyone else that I've been able to work with, and they're really good at the tricky integrations and really thinking outside of the box. I’m making 6 figures a month in my business in less than 12 months. 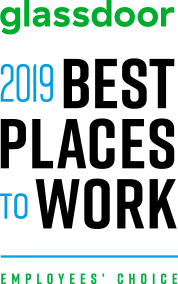 I was just nominated as a GKIC Marketer of the Year finalist, and I couldn’t have done it without GetUWired, who put the systems in place for me to make those results happen. If you’re on the fence and you’re thinking about hiring GetUWired, stop thinking. Take action! I'm excited and happy to say that I am partnered with and empowered by GetUWired. I've had the luxury of being able to sit down with the entire GetUWired team; all the way from the CEO, Melissa and her partners, to our Project Manager, Chris Johnessee. They really have been a part of the Jay Morrison Brand and the elevation and scaling up of our company. As a retainer client, you get ongoing access to a professional marketing team that keeps a constant eye on your online presence, email marketing, website, and more. “What works” in marketing changes lightning fast. We make sure you stay at the cutting edge, with results to prove it. Experience what it's like to work with Infusionsoft's #1 App Sales, Revenue Producer and DFY Infusionsoft Certified Partner in the world. Let's put our 40 full-time Infusionsoft experts to work for you.